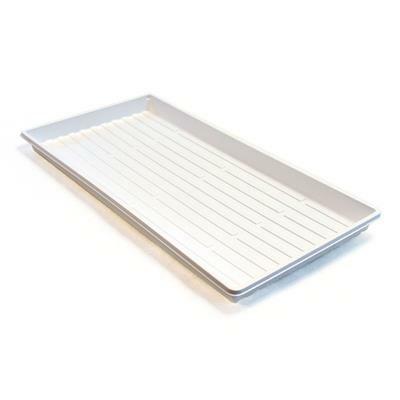 This smaller-sized thermoformed tray is reliable and sturdy. Design allows community watering of pots, consistent bottom & side positioned drainage holes (or no holes) and easy, two-finger denesting. Both trays come with no center bar or side ribs. Select flats with or without holes. 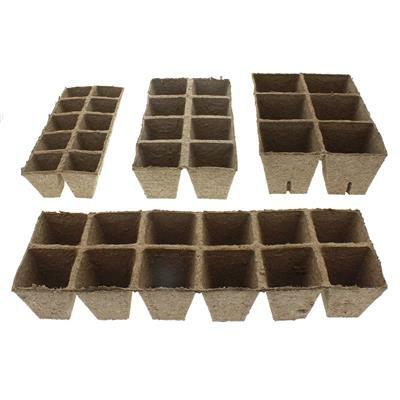 Used with our inserts to create compact, efficient growing systems for Bedding Plants. 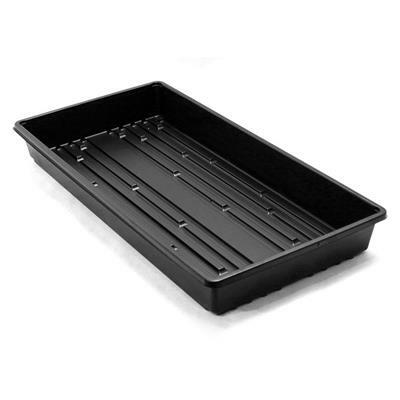 I use for Microgreens and nestle them into the shallow 10x20 trays. Easy for watering and transporting. I bought a few of these trays both with and without holes to grow microgreens in (i usually use 1020 trays). They are super sturdy and easy to handle. 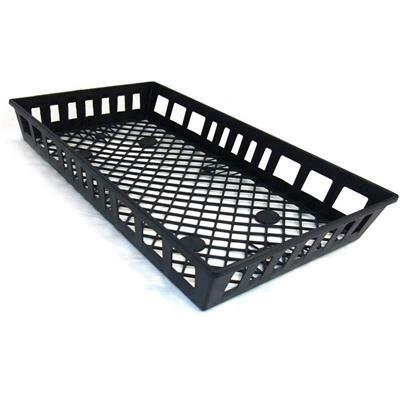 But, 2 of these trays will not nest in a standard 10x20 tray. 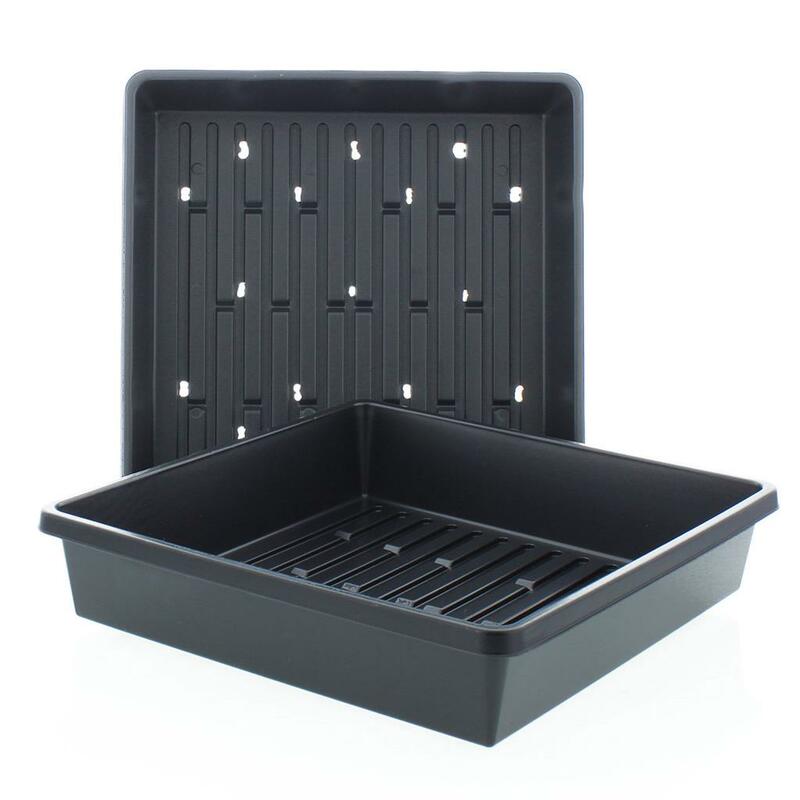 I carry my microgreens to my farmers market to sell so fitting 2 in a 10x20 tray would help with handling so right now that is a deal breaker for me. 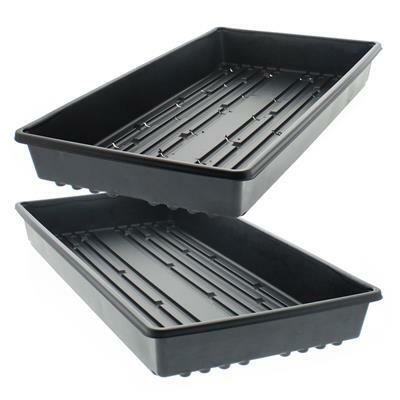 Also, I ended up with a few of the trays with no holes leaking at what appears to be a weak spot in the plastic. I'm thinking I just ended up with some duds and will be trying more of them in the future if I can find a 1020 tray that will hold 2 of them.